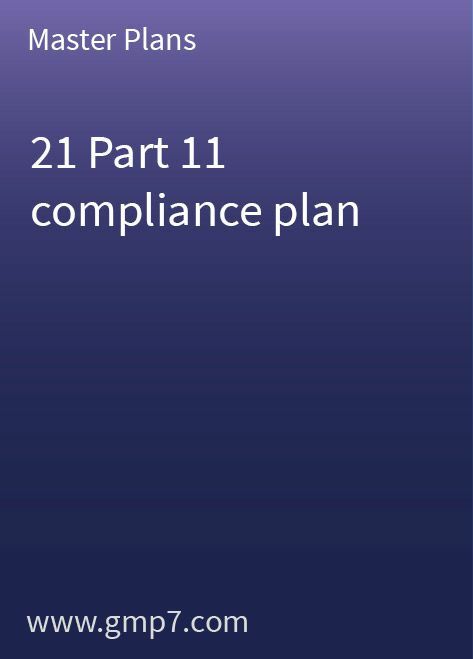 Ensure compliance with CFR 21 Part 11 (EU GMP Annex 11) by establishing a clearly defined plan. You do not have to be a specialist in computerised systems to help your company meet the US FDA regulatory requirements of 21 CFR Part 11. We have developed a master plan that enables you to initiate and coordinate all crucial Part 11 compliance activities. The first step in becoming Part 11-compliant is to set up a plan that details your Part 11 compliance strategy and the required milestones. Our Part 11 compliance plan is a ready-to-use master document that describes all the necessary steps such as creating compliance strategies, organisation, system determination, risk evaluation, system gap analysis and remediation. The 13-page Part 11 compliance plan describes the compliance strategy and includes 4 attachments for site-specific information, e.g. list of computerised systems with risk categorisation, list of training needs and related SOPs to be adopted or updated. If you fall under the scope of the 21 CFR Part 11 (or EU GMP Annex 11) regulation, do not delay your compliance initiative for too long. The next inspection is sure to come and it would be better to have a plan in place.